Bret and Bart Maverick are well dressed gamblers who migrate from town to town always looking for a good game. Bret, seeking buried Confederate treasure in Elwood, Kansas, keeps running afoul of U.S. Marshal Mort Dooley. The marshal keeps running Bret out of town. Bret, in turn, keeps outwitting the lawman. The adventures of a gentlemanly gunfighter for hire. A Civil War veteran with a sawed-off rifle as a holstered weapon makes a living as a bounty hunter in the Wild West of the 1870s. The adventures of the masked hero and his Native American partner. Dressed-up dandy (derby and cane), gambler and lawman roams the West charming women and defending the unjustly accused. His primary weapon was his wit (and cane) rather than his gun. Frontier hero Daniel Boone conducts surveys and expeditions around Boonesborough, running into both friendly and hostile Indians, just before and during the Revolutionary War. Bret: Waco, I've never seen a man do so many things wrong. Have you ever been in a gulf hurricane? Bret: Well, it's the big pine trees and the thick oak trees that get uprooted first. The palm trees are smart - they give with the wind. Waco Williams: That sounds like pretty good advice for trees. Bret: They live a long time. 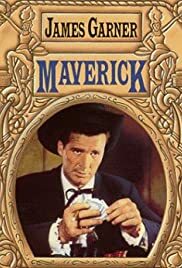 I've heard Bret Maverick described as a "coward" and the show described as a western spoof that gets its humor from the cowardice of the hero. I think this is totally wrong. A decade before Star Trek introduced its "Prime Directive"- that they shouldn't interfere with the development of the civilizations they encounter, a rule they had to repeatedly break if there was to be any story, Bret Maverick was exercising his own "Prime Directive". All that advice from his "Pappy" adds up to one thing: mind your own business and if everyone else minds their own business, you'll be fine. When Maverick is at a gaming table, he's fine. He knows what's going on and can manipulate things to his advantage. When he gets involved in other things, he has the tread water just to keep up. He's no coward. He can get angry and be aggressive, (especially in the early episodes, when Roy Huggins was still doing much of the writing). He just doesn't want his life to get too messy and would rather use his wits to resolve his problems rather than tactics that are likely to get somebody hurt. He saw too many people get hurt in the war and wasn't impressed. But, as with "The Prime Directive", if Bret, (or Bart), was allowed to stick to this, there would be no story. So the writers had to come up with something to him involved in other people's business- or them in his. The first option was to invoke rule #2: Bret doesn't let anybody cross him. If he gets cheated or conned, he will go far out of his way and bend all other rules, if necessary, to get what's coming to him and make sure the cheaters get what's coming to them. The second option was to introduce an attractive female- who may or may not be trustworthy and have her, intentionally or not, seduce Maverick into helping her solve her problems. Then, there's always money. Everybody has to bend rules when they are broke and a gambler frequently finds his luck running against him and will be willing to take a job- even a dangerous- one in such circumstances. Finally, there are occasions when, against his-and Pappy's better judgment, Maverick just has to do the right thing. 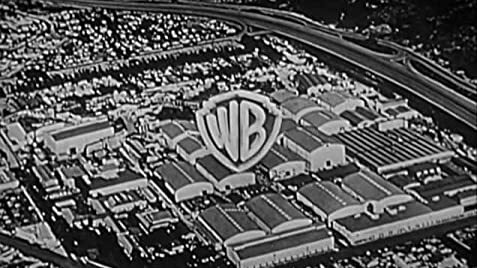 These weaknesses and inconvenient strengths endear the character to the audience. So does Maverick's generally sunny disposition. When he's minding his own business, he figures things will work out. Even when he's in trouble, he somehow always seems to figure he will get out of it somehow and takes temporary defeats in stride. Someone said that "Maverick" is "The Rockford Files" out west. Of course, "Maverick" came first. There are similarities. But Rockford is more world-weary, lest trustful of what the future may bring. A stretch in jail will do that do you. With him, avoiding complications is even more important. He does detective work because it's what he knows but he really just wants to make enough money to go fishing with his Pappy. Maverick stills see the pot of gold at the end of the rainbow.